Morgan Smith (’19) can’t resist a good story. When she isn’t studying or spending time enjoying the outdoors, you’ll likely find her in a local coffee shop with a cup of espresso and a good book or conversation. Smith has chosen communication studies and public relations for her major and a minor in solidarity and social justice as her path to pursue her goal to make a positive difference in her community. 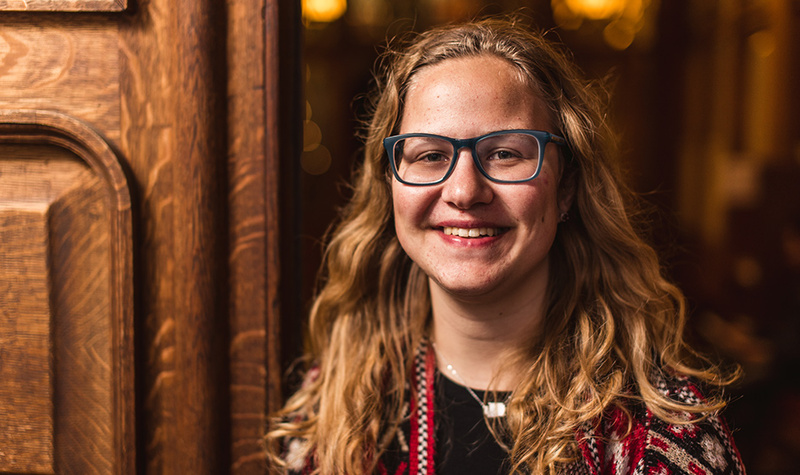 Fascinated by the intersection of social justice and communication, Smith credits her Gonzaga experience with opening her eyes to new perspectives and opportunities. In her first year at Gonzaga, Smith jumped at the chance to participate in the Center for Community Action and Service Learning’s (CCASL) alternative spring break program, Mission:Possible. She traveled to Knoxville, Tennessee with 12 other Gonzaga students to perform acts of service in the community there. It was a memorable experience that she says will remain with her for the rest of her life. Smith’s growth both in and out of the classroom has only been possible with the scholarship support she received. She is thankful for you and your generosity, as the scholarships you help provide are allowing her invaluable opportunities. Make a scholarship gift today and have in impact on Zags like Morgan and through them, the world.